Prepare for a Sushi rolls parade. 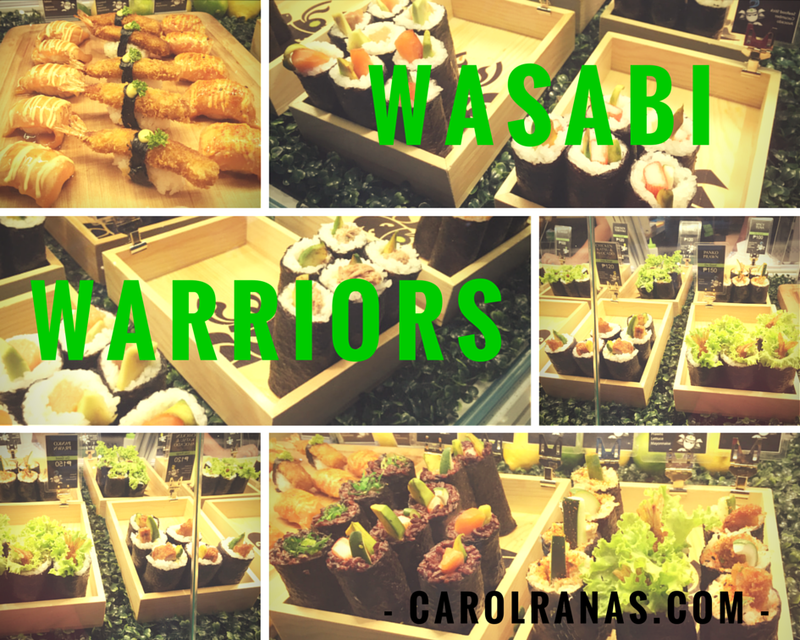 Check out these different types of rolls that are available at Wasabi Warriors. 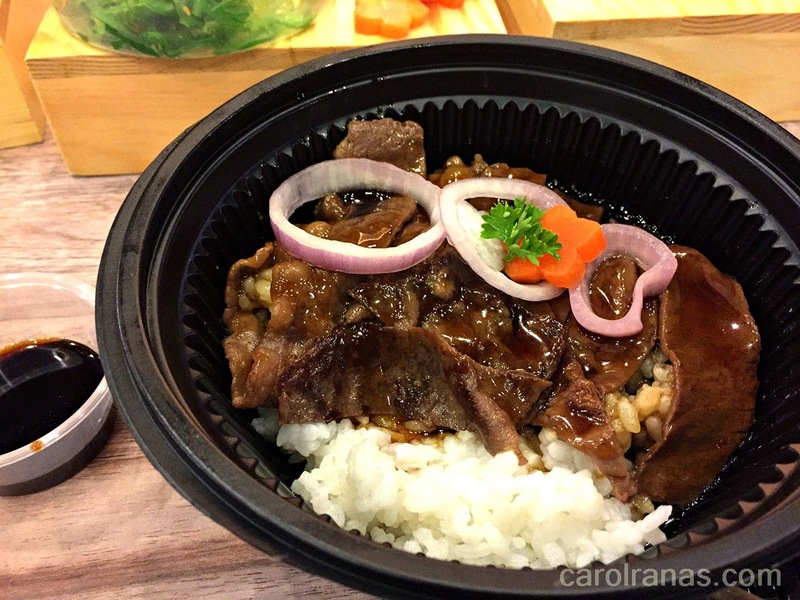 Almost all flavors were similar to what they offer at their Autralian and Asian branches. Wasabi Warriors wanted Filipinos to be accustomed to these varieties so for the meantime, the flavors are limited to 20 combinations (that's a lot!). 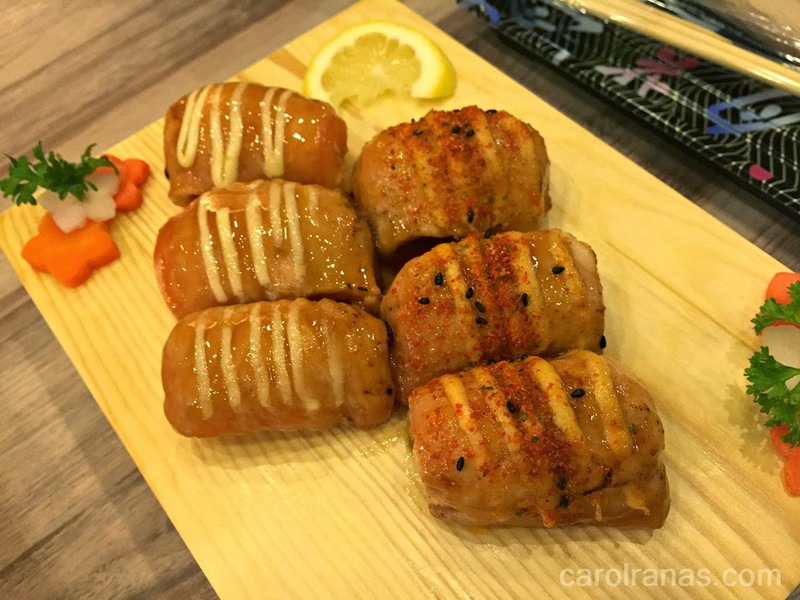 We asked Kimmi if they will be introducing some local flavors in their rolls, and she nodded and mentioned that they are in the works of formulating recipes that utilizes the unique Filipino flavors. It is best to consume their rolls immediately, or if not, you must consume it within 2 hours after buying it. Aside from sushi rolls, they also have bento packs and rice bowls for you or your carnivorous companion. 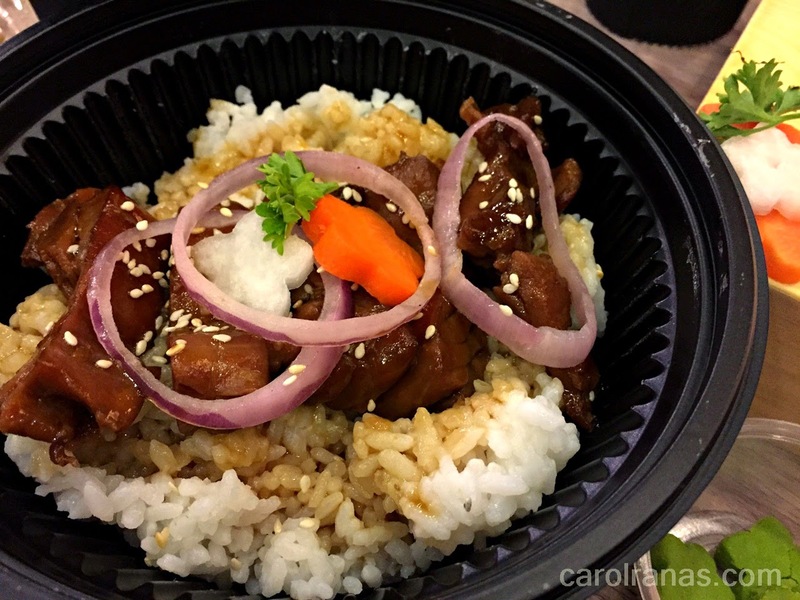 You can choose from Beef or Chicken Teriyaki rice bowl or even an Udon soup if you want to warm up your tummy. 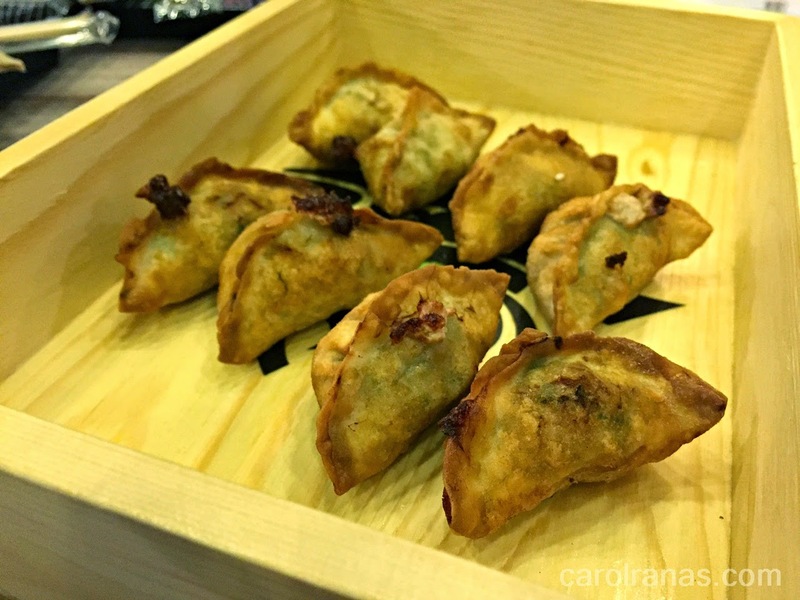 If rolls are not enough and you are still craving for some side dishes, you can add a side of fried gyozas or a side of seaweed salad to fill up your hungry tummies. 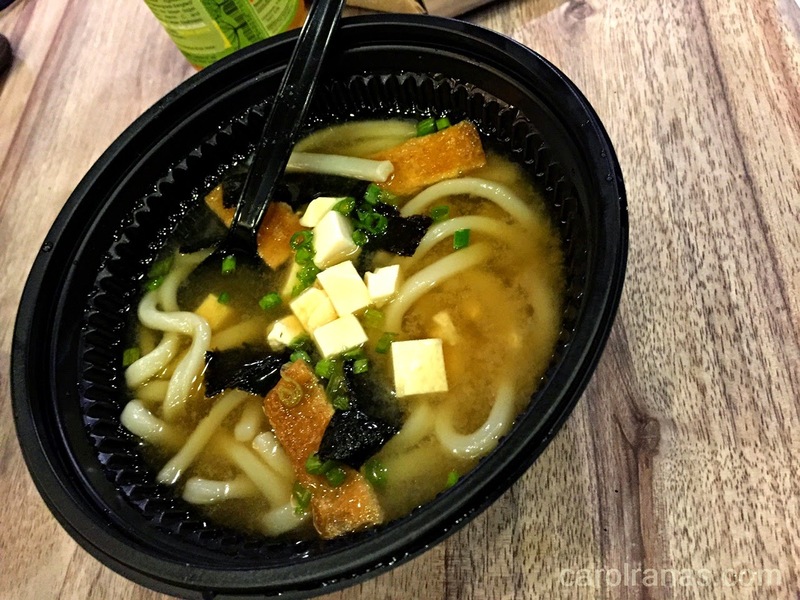 I simply loved their Seaweed salad for it tasted fresh and very light. 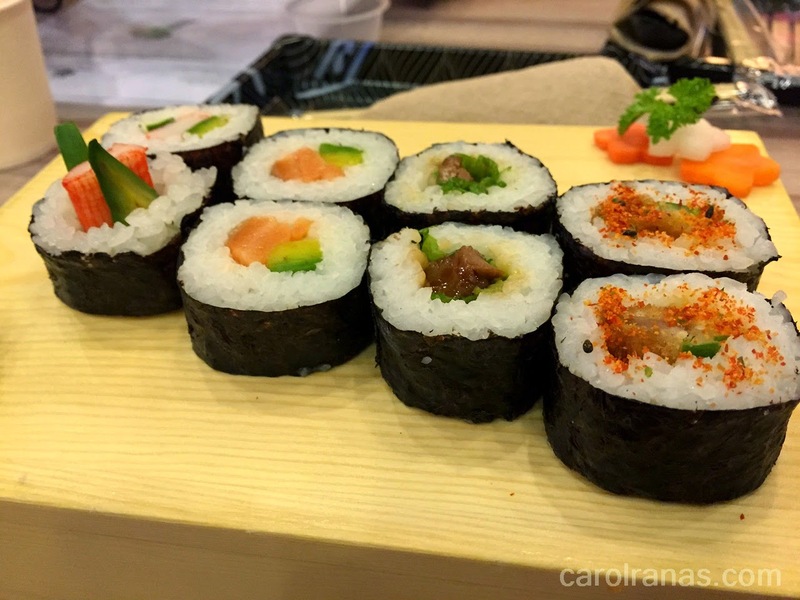 We weren't able to try their Inari with seaweed, but this type of roll was interesting. 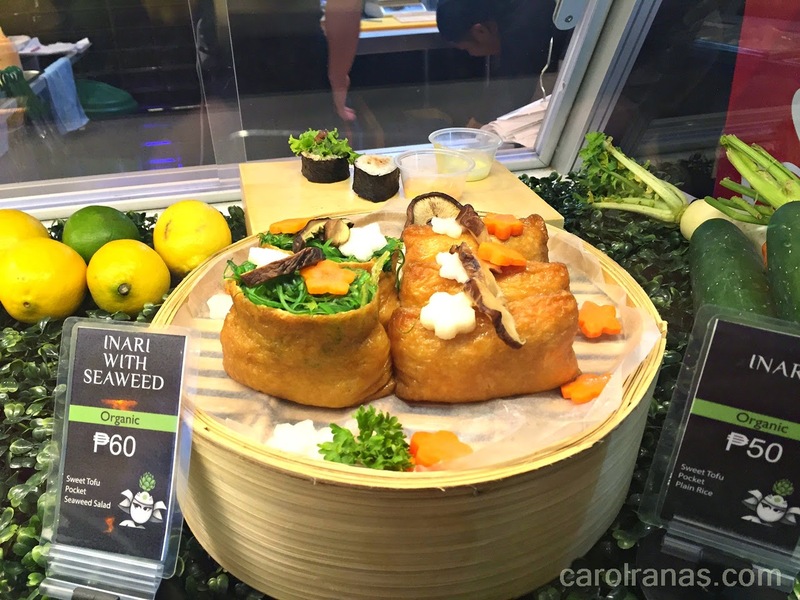 It has a pastry stuffed with seaweed. I'll try these when I go back. 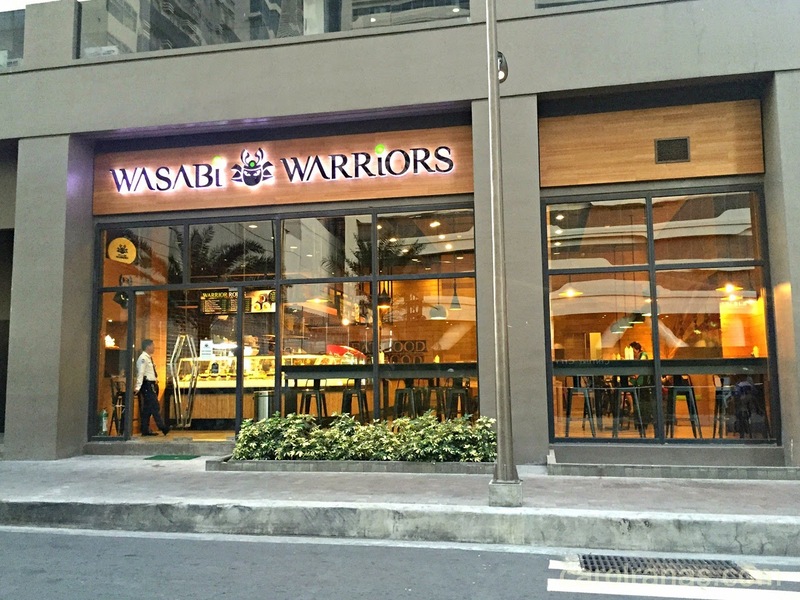 What makes Wasabi Warriors better than other restaurants is not only their food but their principles. We were able to sit down and chat with the Business Manager, Kimmi Sui Dewar and she excitedly shared with us the guiding principles of Wasabi Warriors. * Being a Social Entrepreneur, they make sure they utilize local ingredients to help our local producers. 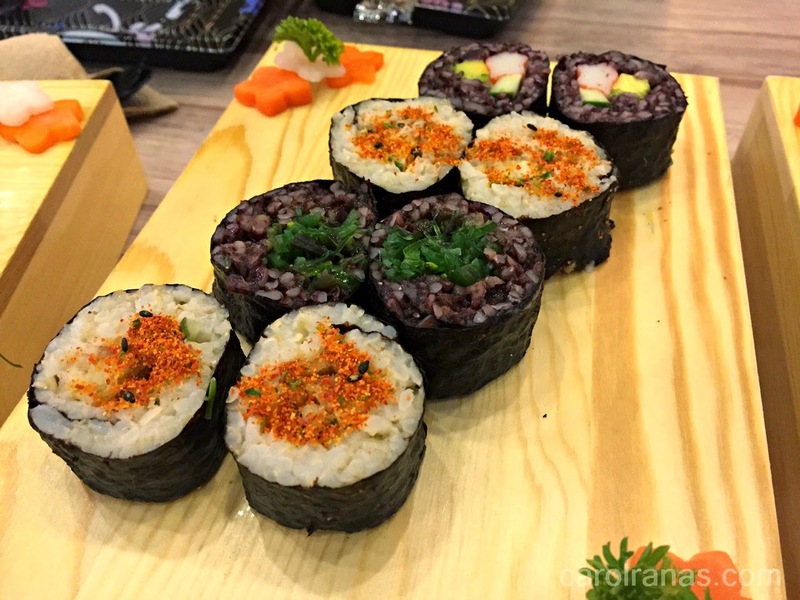 So if you'll notice the difference in taste in their rolls, they make use of locally sourced japanese rice that are used in their rolls. * They support several charities by hiring out-of-school youth as their staff. They train them on how to ease back to society and be more accepted and productive citizens. Their staff are friendly and at the same time attentive. They have adept knowledge of the rolls so don't be shy to ask them about options. * They always serve their food fresh daily. So what happens to their left over rolls? They donate it to their chosen charity at the end of the day. Feeding the people who need it most: a big check! 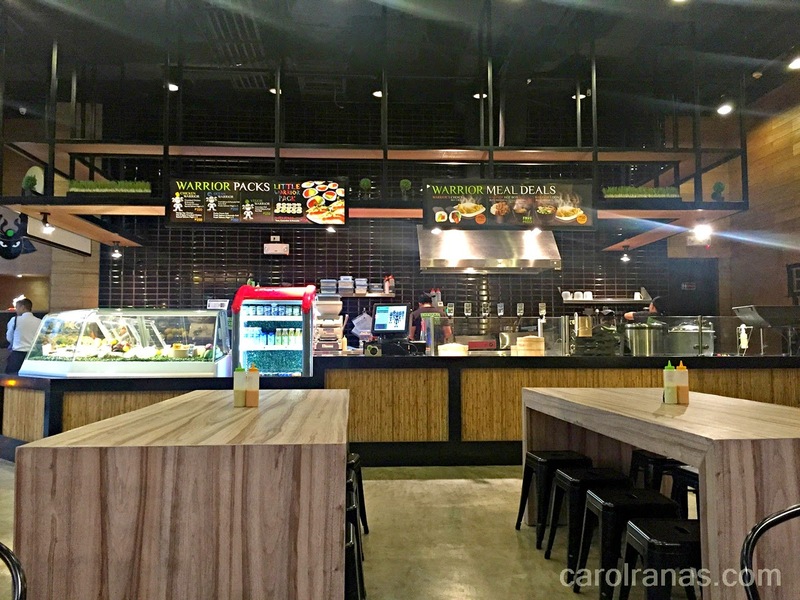 Restaurants like Wasabi Warriors are not centered to just make profit but to give back to the environment and help the local community. These types of restaurants makes buyers feel that the money they spent is ultimately put into good use. 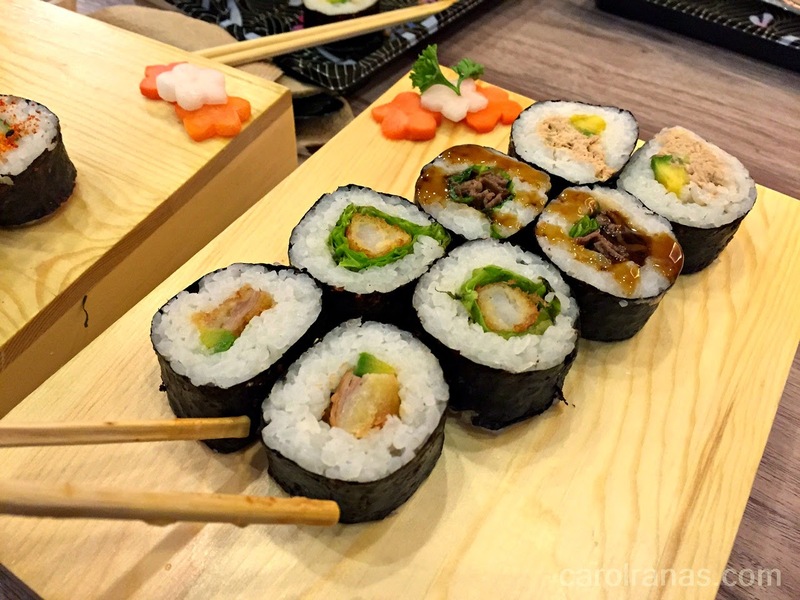 Purists wh love an authentic Japanese roll may not enjoy their sushi rolls but for those who wanted a good healthy grub fast at an afordable price, Wasabi Warriors is a good pick. I do hope they open up a branch in Makati, surely a lot of yuppies will enjoy their rolls there (myself included). 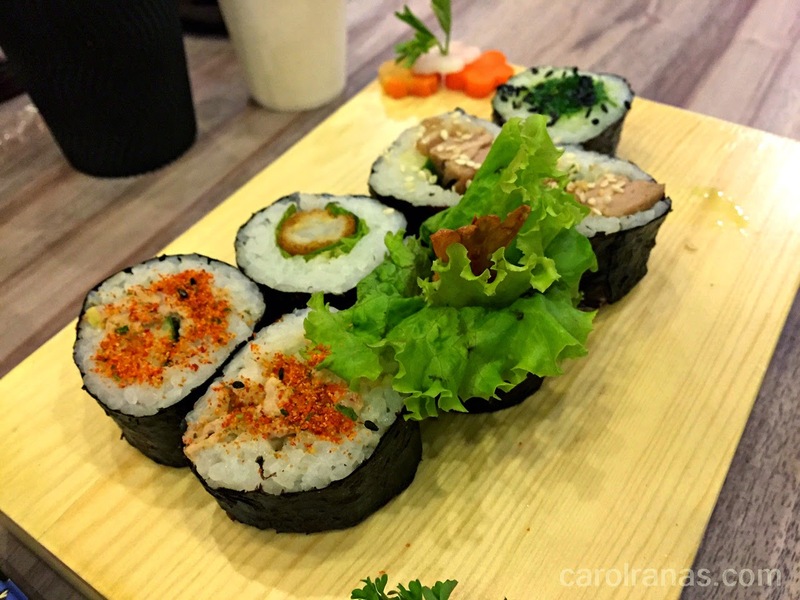 No more unhealthy fast food take-outs..
What is your favorite sushi roll combination?